The world will never be the same!' How many times have human beings uttered this cry after a tragic event? This book analyzes how such emotive reactions impact on the way religion is understood, exploring theological responses to human tragedy and cultural shock by focusing on reactions to the terrorist attacks of 9/11, the two World Wars and the Holocaust, the 2004 South-East Asian tsunami, Hurricane Katrina and the 2010 earthquake in Haiti. It discusses themes such as the theodicy question, the function of religious discourse in the face of tragedy, and the relationship between religion and politics. The book explores the tension that exists between religions capacity to both cause and enhance the suffering and destruction surrounding historical tragedies, but also its potential to serve as a powerful resource for responding to such disasters. Analyzing this dialectic, this book engages with the work of Slavoj ++i++ek, Karl Barth, Theodor Adorno, Emil Fackenheim and Rowan Williams, examining the role of belief, difficulties of overcoming the influence of ideology, and the significance of trust and humility. 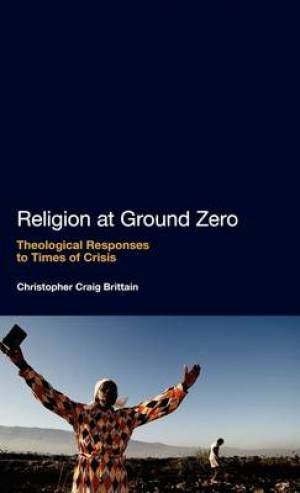 Religion at Ground Zero by Christopher Craig Brittain was published by Continuum in July 2011. The ISBN for Religion at Ground Zero is 9781441106773. Be the first to review Religion at Ground Zero! Got a question? No problem! Just click here to ask us about Religion at Ground Zero.